JUDAEA. Bar Kokhba Revolt, AD 132 – 135. Silver AR zuz, 3.34 g., 19 mm. 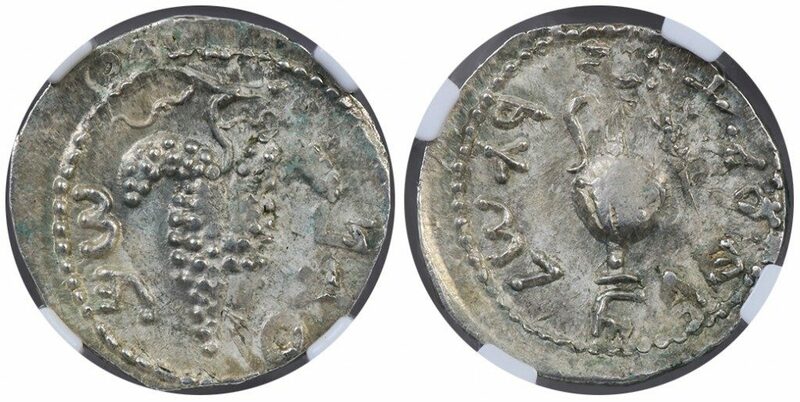 Undated Year 3 emission, AD 134/135 AD. Obv. SIMON, bunch of grapes hanging from branch. Rev. FOR THE FREEDOM OF JERUSALEM, jug with willow branch in upper right. Mildenberg 194 (these dies); Hendin 1433; TJC 285. 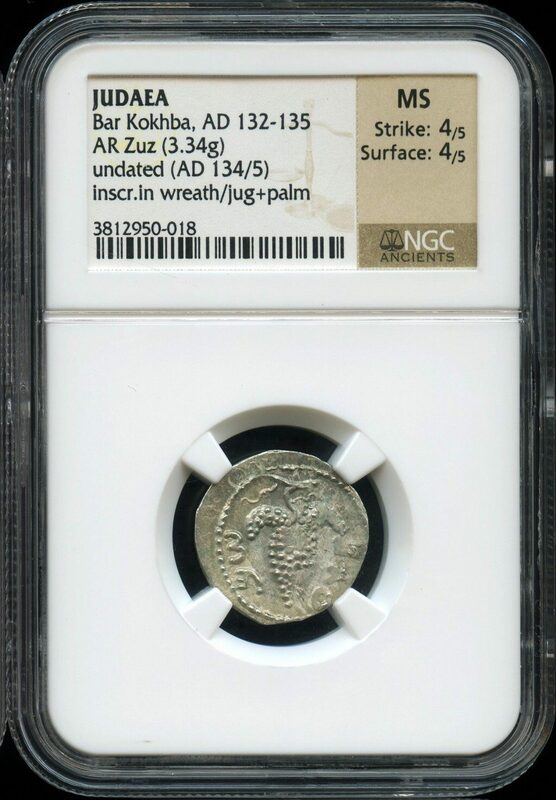 NGC graded MINT STATE, Strike 4/5, Surface 4/5, faint traces of the Roman denarius undertype.